As founder of the Integrated Marketing Summit and Demandcon, I have produced over 30 educational marketing events all over the United States including one event in London since 2009. I have had the great pleasure of working with hundreds of thought leaders, speakers, and sponsors over the years. Many of our sponsors did very well at our events, collecting tons of leads, while others made an awful mess out of their participation because they weren’t prepared. That’s why I have created this top thirteen list of tips for event marketers (with a bonus speaker tip at the end). These tips are all designed to help you avoid some of the biggest mistakes I have witnessed over the years as well as offer suggestions on how to get the most out of your participation or investment when sponsoring an event. You can’t just toss sponsorship money at the event producer and expect to leave the event with a boatload of leads. You have to integrate your event marketing efforts with your field marketing and sales efforts. I can’t tell you how many times a sponsor has failed to mention to field sales they are sponsoring an event taking place in their territory. What a giant waste of an opportunity. Field sales and/or inside sales teams should not only know about the events you’re sponsoring, but they should play an active role in making sure you have the right prospects and clients at those events. That’s right, I said clients. Events are not just a place to find new leads, but also a great place to build tighter relationships with existing clients. When negotiating your sponsorship package, event producers are more likely to give you additional free passes to the event than give you a deeper discount to sponsor the event. Giving one price to one sponsor and another price to another sponsor causes ethical issues so it’s easier for event producers to simply give more passes to the event, which is a win-win for all parties. Set up meetings with your field sales and inside sales teams as soon as you sponsor the event to make sure they give away these free passes. Don’t waste this opportunity to give away your free passes! I can’t tell you how many times a sponsor has failed to give away all of their free passes. I’m sure their sales reps would have loved to have invited a client or prospect to an event for free, just for the opportunity to spend some quality time with them and strengthen their relationship. Start by inviting your prospects to the event, and if you have any passes left, invite your clients. If you tell the event producer how you plan to give away your free passes and how you plan to market your participation at the event, they will be much more likely to provide you with extra perks and passes. I had one sponsor who had his inside sales team call all of their prospects in the area of each regional event I held. They would give away all of their passes in two weeks. I would then give them extra passes at cost so that they could keep inviting prospects to the event. However, keep in mind that when you give something away for free only about 50% of the people who say “yes” to the invitation will actually show up. If you are going to sponsor an event, go all in and sign up as early as possible. Event producers often feature their sponsor’s logos in their marketing efforts, website or even on their direct mail campaigns. The sooner you sponsor the event, the sooner your logo will appear on the promotional materials, increasing your overall brand impression, which never hurts. Example: when promoting our events, we like to include the sponsors’ logos on our email campaigns. If your event producer has a large database of contacts like we do, this can lead to millions of brand impressions. If you get a speaking slot with your sponsorship, try to get a morning speaking slot. I don’t care what type of event you sponsor or speak, attendance drops off in the afternoon. Not to mention, most attendees are suffering from information overload, attention spans are dwindling or just want to knock off early (while the cat’s away, the mice will play). So try to book a morning presentation if you can. If you do get a speaking slot as a sponsor or a speaker, make sure you run through your presentation over and over and over again, in front of an audience. I don’t care if it’s just a one person audience or a room full of people, you need to practice in front of an audience. Don’t wait until the morning of the event to practice your presentation. You’d be surprised how many smart people are awful presenters. A bad presentation is a wasted opportunity to create a positive brand experience and establish credibility. If you’re not sure about your speaker, test them out on one event before committing them to multiple speaking opportunities. During their test event, monitor whether they’re engaging the audience. Pay attention to the crowd and see if the speaker is keeping everyone’s attention. It’s easy to tell if you lost the audience’s attention; just look around the room and if everyone is on their cell phone or laptop, your speaker lost them. As an event producer, I often test new speakers by putting them on a panel of speakers before committing them to a single presentation on the main agenda. And as for the presentation itself, if you’re not sure about the audience’s ability to grasp your content and are wavering between delivering remedial or advanced content, go for advanced. It’s always better to appear smart and a lose a few people than risk delivering weak content that makes you and your company look remedial. Make sure to include the event hashtag on all of the slides in your presentation, along with the speakers Twitter handle or LinkedIn URL. I can’t tell you how many times I have sent a connection request to someone on LinkedIn or started following someone on twitter during their presentation. This simple step can gain you some really important and easily earned contacts. I would also make sure to provide the event producer with a copy of the slides to pass out to all of the attendees after the event or have a call to action during the presentation directing people to a landing page to get a copy of the material presented. Don’t start your presentation off with a pitch. I had an event in Dallas once where our main sponsor started their presentation with a pitch. He started off with eight slides about who they were and how great they were, including a long list of important clients they worked with. I have never have seen an audience shut down so fast in my life. Put your pitch or company info at the end of the presentation, not the beginning. Offer value first and establish credibility to gain the audience’s trust, or risk having them turned off of your company before you even get started. Just because you have ten free passes to the event (because you failed to give them away to prospects and clients – see tip two), don’t send your entire sales team to an event, especially if the event is small. You will look like a bunch of vultures feeding on a small audience, and you’ll scare people off. Are you sponsoring the event to recruit new staff, uncover new leads, pick up some training, recruit sponsors to your event, or just meet influencers in your industry? Whatever your goal, have a plan for achieving that goal and how you will measure success. If you can get a list of attendees prior to the event, or if there is a mobile app for the event, make sure to reach out to those people that will help you achieve your goals and ask for a quick meeting. I look up the people I most want to meet with on LinkedIn and send them an invitation to connect. If I can’t find the people on LinkedIn, I go to Data.com to find their contact information and send them a personal email before the event. By reaching out ahead of time, you can more easily connect with the people that will help you achieve your goals for the event. Big doesn’t always mean better. big events are expensive and often do little to help the sales reps stuck in smaller/tier two territories. Sometimes, the little events in tier two cities have the best ROI and are actually more beneficial to your reps.
For example, did you know Kansas City is home to Black & Veatch, Sprint, Hallmark, Garmin, AMC Theater, America Century, HR Block, Cerner, Russell Stovers Candies, Burns & McDonnell, and Seaboard Corporation, just to name a few? If given the opportunity, sponsor a private after-hours party, dinner or event. I Try to take as many prospects as I can to either a ball game, a concert or a private dinner after each event. The real relationships are often made outside of the event itself, and these after-hour events are the perfect way to make those lasting bonds with clients that will keep you in business. Most event producers will help you market an after-hour party as well, especially if you are willing to pay them a little extra. Trust me, it’s worth it. Event marketing is consistently listed as a top five strategy for lead generation in most major studies. However, these leads are also the most expensive leads you will ever generate. You have to include sponsorship fees, T&E for staff, shipping, time out of the office, and many other things to calculate the true cost of these leads. 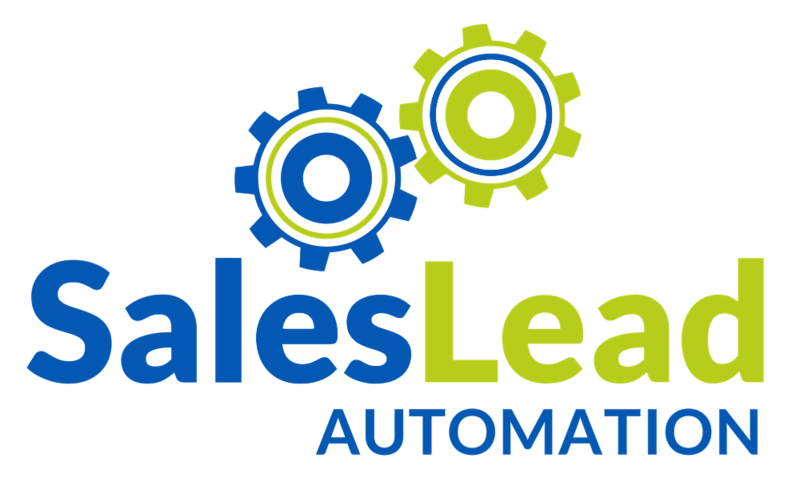 So after the event, make sure to import your list of leads captured into your CRM or other marketing automation platform for further nurturing. Picking up a lead at an event doesn’t mean they will convert in year one. Studies show that 75% of the leads you generate from these types of events will not make a purchase decision until year two or three. If you are not nurturing the leads you get after the event, you are wasting 75% of your marketing budget. So be sure you have a system in place to keep these leads in the loop long term. Also, make sure to flag the lead source with the name of the event for ROI reporting which will help you with next years event planning. Some of the leads you get from the event might already be in your CRM or marketing automation platform. You need to flag those leads as having stopped by your booth at the event. This is called a “marketing touch.” By tracking these interactions, you can gain a better understanding of the number of touches it takes to convert a lead (both online and offline) to a sale. If you are trying to get a speaking slot at an event, don’t just submit an abstract showing years of speaking experience but rather present a marketing plan that clearly demonstrates how you will support the event. Let the event producer know how many contacts you have in your database and agree to send an email campaign out to help promote the event. Let the event producer know how many people follow you on Twitter, LinkedIn or subscribe to your blog and agree to promote the event on your social channels. Show the event producer you are serious about supporting their event and they’re going to be much more likely to give you the speaking slot over another speaker. There are only so many speaking slots on an agenda so you need to keep in mind you’re competing against other speakers and sponsors for that same opportunity. I hope this list helps you get the most out of your event marketing efforts. Need help marketing your event or an event you are sponsoring? Set up a call with Shawn Elledge here. Shawn has access to millions of B2B contact records to support your email marketing efforts and offers a managed LinkedIn program designed to attract sponsors, speakers, and attendees. Timing is everything in event marketing. Knowing when to start promotions and how is critical to your success. We can help! This content was originally posted on the Integrated Marketing Association website here but has been updated.